Working toward our Dog Scout Certification is one of the best ways for us to learn how to train properly, for our dogs to learn manners and basic skills, and for us to build our relationship through respect and communication. 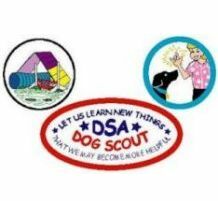 After we earn our Dog Scout title, we are eligible to work on Specialty Merit Badges. Building our skills, making friends, and deepening our human/canine bond can be FUN! Dog Scout Camp is Awesome! Why work alone, when you can learn from others who have been there? Groups working together can learn so much more. 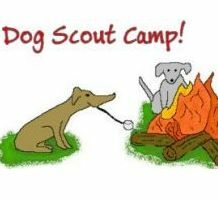 Come join the fun at Dog Scout Camp! Yes... clicker training works! "Mark and Reward" is a phrase that we learn and use daily. Get out your clicker and start teaching YOUR dog all the things that will enable him/her to be more helpful! This is one of the key things we stand for and teach in Dog Scouts, including positive training, communication, and management of the dog's environment. Building and deepening our bond with our canine friends is one of our priorities! 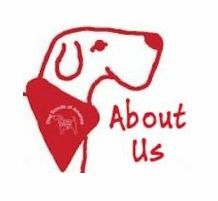 To improve the lives of dogs, their owners, and society through humane education, positive training, and community involvement. We envision a future where dogs remain in happy, lifelong homes with responsible owners. In this vision, all dogs are seen as a useful and welcome part of the community, because people take responsibility for socializing, training, containing, and caring for them. Learn all about us here! 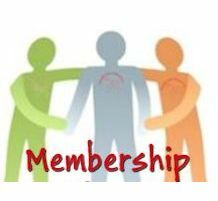 Education, training, camaraderie, and more... JOIN US! Spend a week learning and earning with others in the beautiful woods of northern Michigan! Certification Program - apply your new (and old) skills toward some of our titles and badges! Any dog can become a Dog Scout! DSA is an organization which does not discriminate against any breed. The only requirement is that the dog and owner must be able to pass a test, proving that the owner is responsible and the dog is well mannered and not a danger toward humans and other dogs. The owner will receive an embroidered merit badge. These badges can then be displayed on the dog’s backpack, Dog Scout uniform, crate cover, or travel bag.